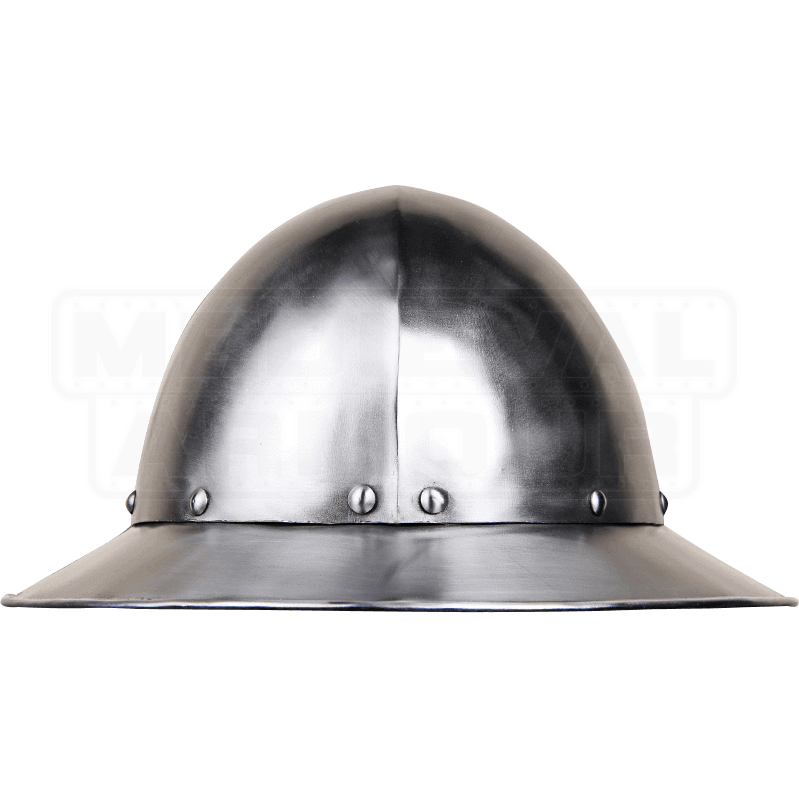 The Ralf Steel Kettle Hat Helm allows you to take on the role of an 11th century infantryman for LARP and reenactment. Also referred to as ÃƒÂ¢Ã¢â€šÂ¬' the helmet of the commoner, the kettle hat was used widely throughout Medieval Europe. 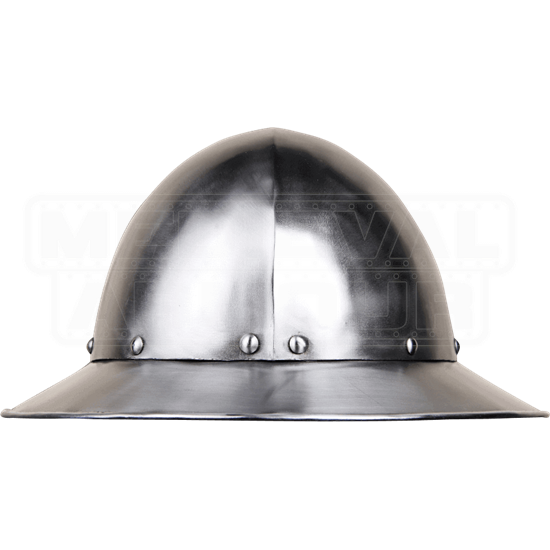 Handcrafted from 18-gauge steel, this helmet consists of a conical dome and wide brim. A central ridge and rivets provide extra protection against blows. Leather buckle straps adjust the fit under the chin.